You head to your Fort Collins or Greeley spa for skin rejuvenation treatments to make yourself look younger and feel better about yourself. 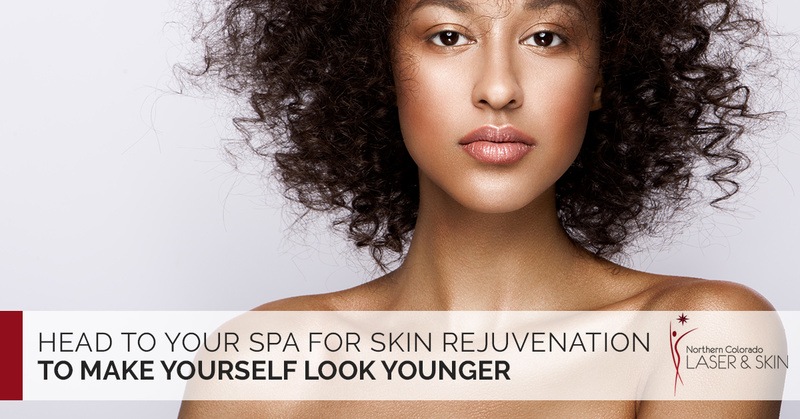 There is nothing wrong with wanting to look younger through treatments available at a spa. But it is just as important that you begin to practice ways and habits that will help keep your good complexion. That is, after a spa treatment or procedure, don’t take a long vacation in Mexico and spend the hot days sunbathing with using sunscreen. These days, age really is just a number, and 50 is the new 30, unless of course, your are 60, then 60 is the new 40. There are any number of ways in which you can keep your complexion fresh, especially after ongoing skin treatments. Take a careful look at this list, follow the tips and you will look fantastic in the years to come. When you go shopping for skin care products, it is important you discover the right ones. You will want to look for skin care products with three key ingredients, vitamin C, retinoids and alpha hydroxy acid. Vitamin C is an antioxidant that will help keep your skin bright, retinoids help stimulate collagen renewal and increase cell turnover and alpha hydroxy acid is an excellent exfoliator. These products can be used between your spa treatments. Whether it is 99 degrees outside and sunny or slightly overcast with a temperature of around 40, you need to make sure you put on sunscreen if you are going to be outside. In fact, wearing sunscreen should be a daily routine, that’s how important it is in keeping your skin in great shape. We know how much women love their makeup, but you need to take a few precautions. Take it easy on the foundation and try to find a foundation that also acts as a moisturizer, so avoid anything with a powder base. And make sure you properly remove your makeup each night. There is nothing wrong with a healthy tan, even if it comes in the form of a self-tanner. You should already know the damage the sun can do to your skin, yet you don’t want to look like your skin has never seen the light of day. Use a self-tanner gradually, build up to a look that is neither streaky nor blotchy. You will look amazing in a short time. Bold and bright eye shadows that glimmer and sparkle make wrinkles more noticeable. In other words, these types of products don’t flatter you if you are showing the signs of aging. Dark shades with lighter neutrals are the most forgiving for the eyelids and should be your choice. Put down those tweezers and go let a professional shape your brows. Bad brow shaping can make your eyes look droopy. Your neck is also very important when considering your overall look. You should pay just as much attention to your neck as you do your face. So make sure when you moisturize and exfoliate, you include your neck. Check back soon and we will give you more beauty tips.